Ever since Maria Grazia Chiuri joined Christian Dior as an artistic director back in September 2016, Christian Dior has become a vocal supporter of gender equality and women power. 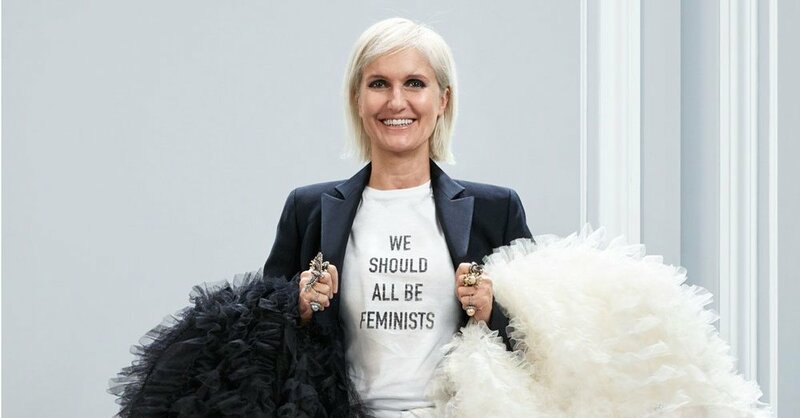 “We should all be feminists" t-shirts were seen on runways and all over streetstyle. To conincide International Women’s day on March 8th this year, the Parisian fashion house launched Dior’s first mentorship programme: ‘Women@Dior’. The idea is to to connect female employees of Christian Dior with female students interested in their area of expertise. “We wanted to celebrate International Women’s Day, and we quickly decided we should be empowering the young,” says Emmanuelle Favre, senior vice president of human resources. Christian Dior employees who will provide face-to-face careers mentorship and guidance once every three months. “We want to coach them very early, at the beginning of their careers or even at school, in order for them to build their self confidence, and to build a network, these are two very important levers in getting ahead in one’s career,” continues Favre. “Young women want to own their professional destiny, to be guided, and to share generously their experience,” says Karin Raguin, director of talent development at Christian Dior.